With Star Trek Discovery set to reveal itself in January of 2017 (filmed in Toronto), it was really important to get a sense of who is the executive production team behind this latest exciting installment in the franchise. Rod Roddenberry is heir to an indisputable sci-fi legacy while Trevor Roth has a tremendous sense of creative vision for this company. 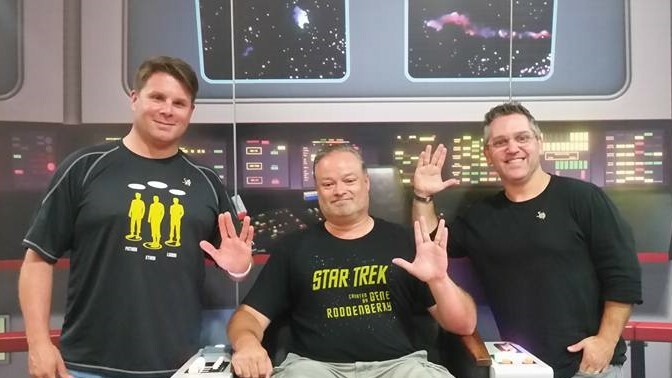 I was most fortunate to be able to sit back with this Dynamic Duo and find out a little more about their decision-making style, philosophy and how Roddenberry Entertainment works. 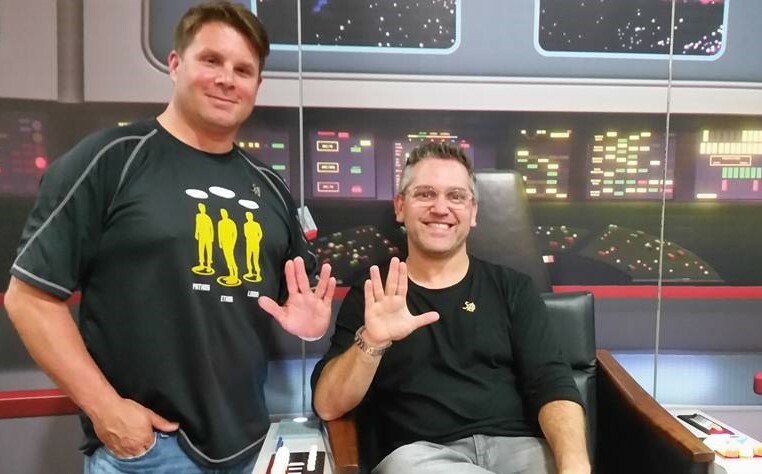 Rod Roddenberry and Trevor Roth of Roddenberry Entertainment in the Captain’s Chair! “Which one is Adam West?” Roth quips. “I can’t be West?” Roth jokes back. “Fine … then I’m Ben Affleck.” Roddenberry affirms with a fist on the table. The affable, easy humour in the room reveals that it’s not just a relationship of business partners; there’s a deep-seated familiarity between these two men that shows a sharing of vision but also of trust. The good humour is tempered by the solid partnership evinced by these two diverse visionaries. Imagine sitting in a room with the son of the creator of Star Trek while discussing the creative future of the media company with him and a business partner who shares a clear corporate direction. It’s a very heady experience to trade jokes with these guys, and one that seems to hit all the right geek pleasure points to anyone within earshot of the conversation. Especially when it comes to talking about films like TrekNation. If you haven’t seen this film, then you’re missing out on some of this trust that I’m talking about. It’s a film about a son discovering just what his father’s creation meant to the legions of Star Trek fans in the world and why he couldn’t see it before. It’s bold, brave and actually invites the viewer into the Trek franchise and Roddenberry’s own family in a very unique way. “Thank you. I’m very proud of the work that we all did. It wouldn’t have happened without any number of us doing our part. Trevor came on board – and when he came on board he really moved it forward.” Roddenberry observes. Not content to rest on laurels, Roddenberry Entertainment is constantly pushing itself forward to discover new ways of making the various facets of its organization exciting and relevant in today’s world. There are different aspects of Roddenberry. There’s Roddenberry Entertainment, which handles all the new media offerings including films, comics (Days Missing) and, of course, great science fiction; but there’s also Roddenberry Adventures, which includes exploration, discovery and opportunities to see what unexpected parts of the word there are to see. Then, you have the Roddenberry Foundation, where the search to improve the human experience is furthered into new philanthropic ways. Even though these may seem diverse, they ultimately have the same common theme: new frontiers. It’s an awesome package that really celebrates Gene Roddenberry’s vision but incorporates it in new and different ways for the 21st century. Trevor and Rod addressed these issues separately. “I’ve always had a passion for exploration – not thrill-seeking – but really doing things that expose you to how beautiful our planet is. So I would always go on trips – I’m an avid SCUBA diver and it started with the Dive Team but half of our stuff wasn’t in the water! All of us out there who watch STAR TREK really know the idea of travelling to exotic places. We can do that here on Earth. 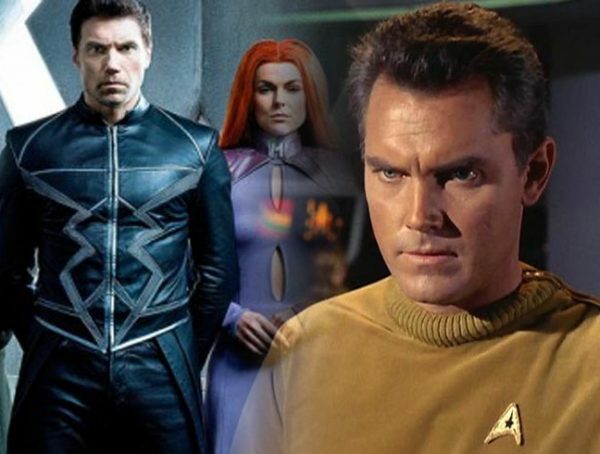 We run the full gamut of things to simply being a community and having walks in the park to the fantastic, like the Zero-G Flights with George Takei,” Roddenberry added. Rod talked more about the philanthropy side of the company, namely, the Roddenberry Foundation that also sees the company seeking out new ways to improve the lives of people on our planet. It’s a very cool paradigm for a company. Not only does the company seek to entertain, but it also educates and inspires. But it is built on mutual trust but also on the understanding that the message behind the great fiction that is STAR TREK is the value that fans really appreciate. It’s very inspirational to hear these two partners explain their vision while also recognizing their strengths and the way they work together. That’s the executive production team of Star Trek Discovery and they’re just cool. But clearly, they’re more than that. They’re the team behind a company that has a clearly defined mission and vision and with what we already know about this awesome-looking extension of the franchise, we can very easily see the influence of their philosophical perspective. 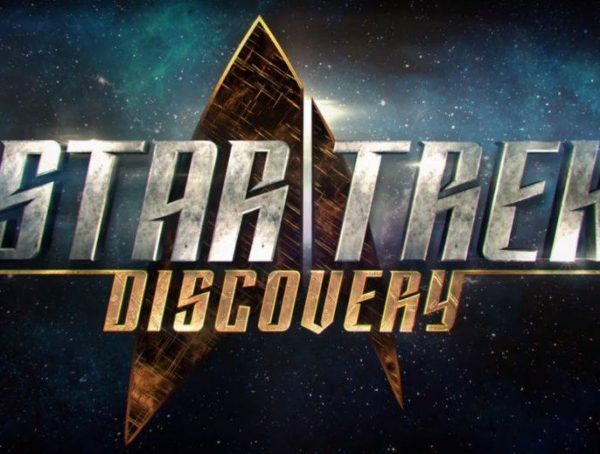 Roddenberry Entertainment is more than just Star Trek… and Star Trek Discovery promises the best of Roddenberry; it’s a modern blend of ideals and entertainment that is very optimally packaged for the 21st century and stands ready to usher in a new age of sci-fi entertainment. 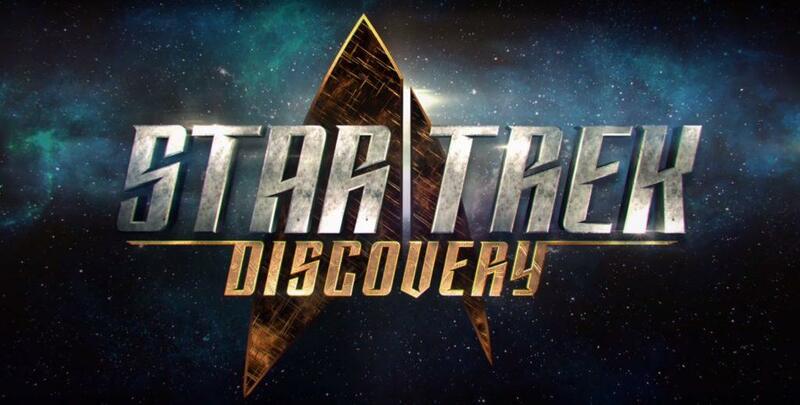 Star Trek Discovery premieres January 2017. John "Captain" Kirk is an English and History teacher in Toronto, Canada. In addition to the standard curriculum, John tries to teach his students to make sense of geek culture. And with the name "J. Kirk," it's hard for him to not inject "Star Trek" into his lessons. Celebrity interviews, Comics, RPGs and the usual fanboy gear make up his classroom resources.